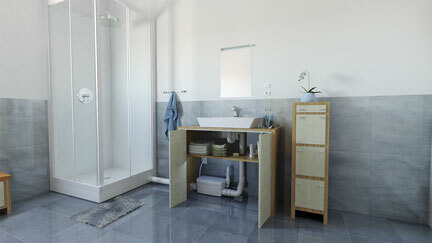 *These download as .zip archives. 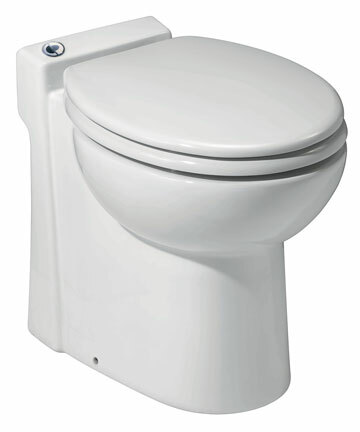 Due to how various browsers handle downloads, you may have to expand the archive manually. 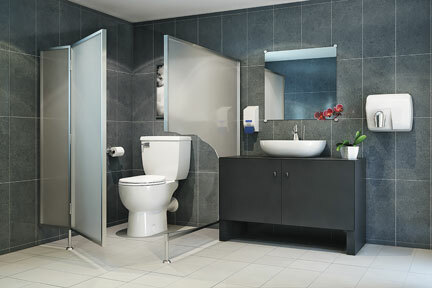 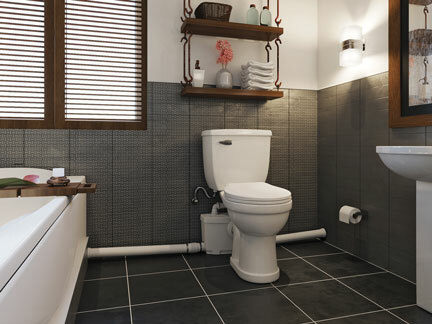 The SANIACCESS2 macerator hidden behind the wall, serving an elongated Saniflo toilet bowl. 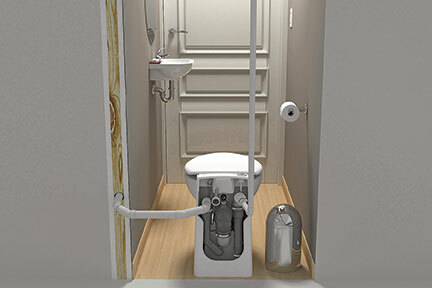 The SANIACCESS2 macerator shown behind the wall with an extension pipe, serving an elongated Saniflo toilet bowl. 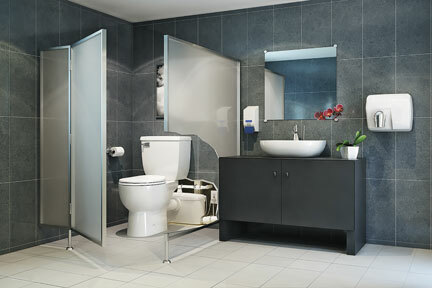 The SANIACCESS2 features a pair of easy-to-open panels, allowing quicker access to major components for servicing. 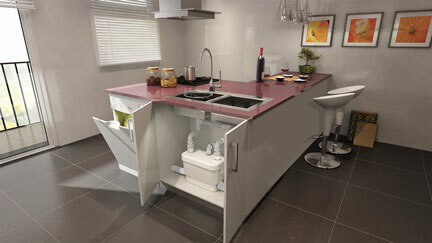 The SANIACCESS2 with the elongated chinaware bowl. The SANIACCESS3 features a pair of easy-to-open panels at top of unit, allowing quicker access to major components for servicing. 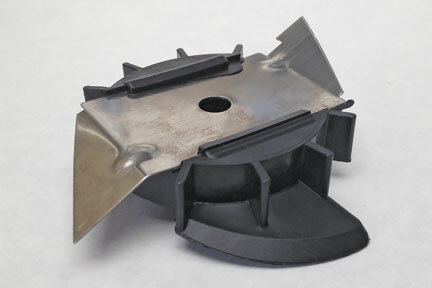 Closeup of the SANIACCESS3 macerating unit containing the high-performance cutting blade. 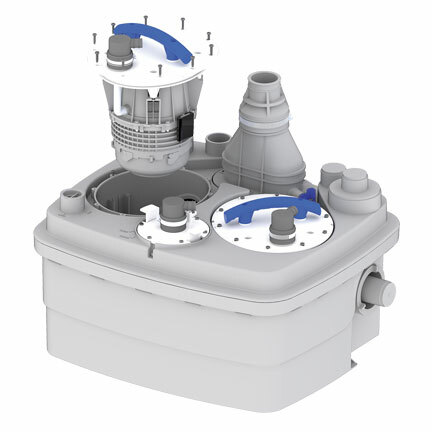 On top is a pair of easy-to-open panels, allowing quicker access to major components for servicing. 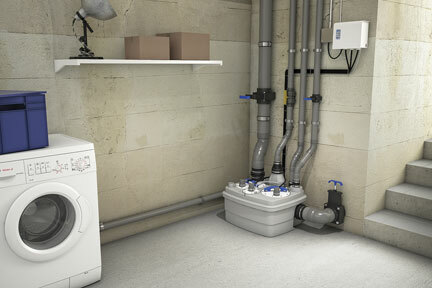 The SANIACCESS3 macerator hidden behind the wall with an extension pipe, serving an elongated Saniflo toilet bowl. 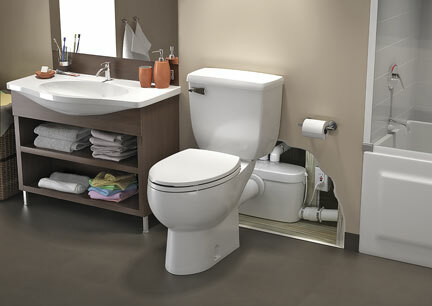 The SANIACCESS3 macerator shown behind the wall with an extension pipe, serving an elongated Saniflo toilet bowl. The SANIACCESS3 macerator shown in front of the wall, serving an elongated Saniflo toilet bowl. 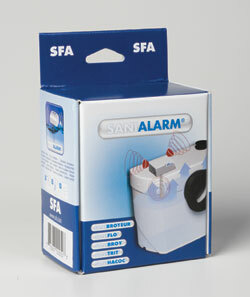 The new SANIALARM fits neatly onto the top of the macerator, signaling when the water level inside is too high. 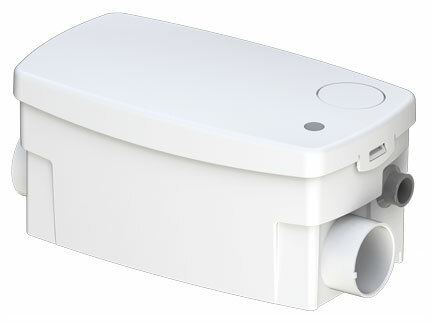 Operating with a 9-volt battery, the SANIALARM consists of a buzzer, pressure controller, on-off switch, and a plunger tube to sense the water level. 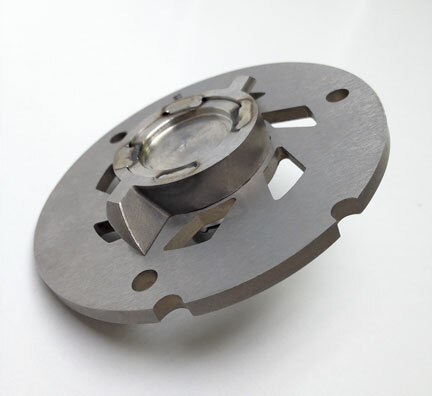 Closeup of the hardened steel SANIBEST PRO grinding blade. 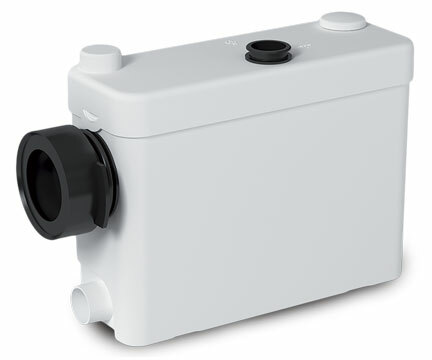 Closeup view of the SANIBEST PRO. 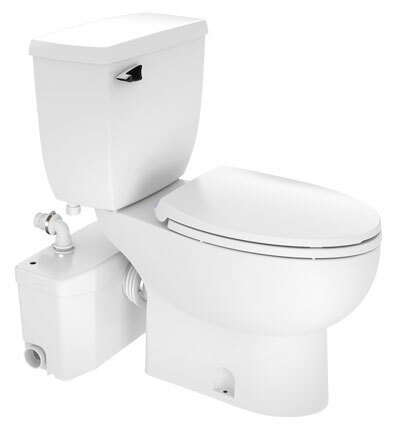 The SANIBEST PRO grinding Toilet System is a heavy-duty, point-of-use grinder pump for the most demanding of toilet applications: public restrooms. 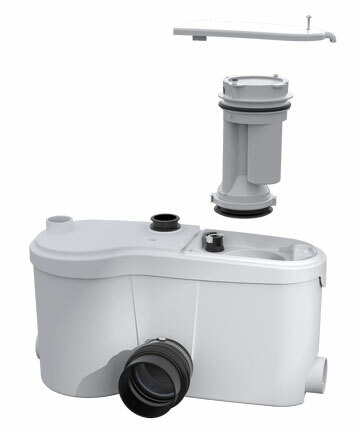 This rugged, high-quality grinder quickly and efficiently discharges wastewater from water closets, hand basins, janitorial sinks and even clothes washers. 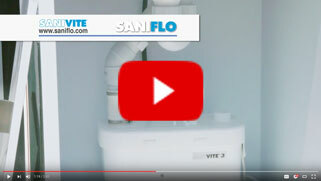 The SANIBEST PRO grinder hidden behind the wall with an extension pipe, serving a round Saniflo toilet bowl. 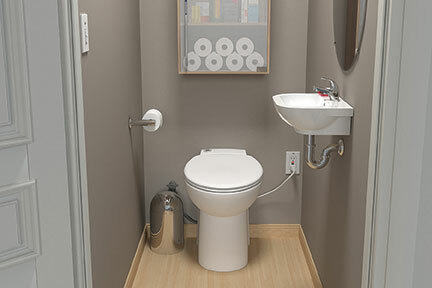 The SANIBEST PRO grinder shown behind the wall with an extension pipe, serving a round Saniflo toilet bowl. 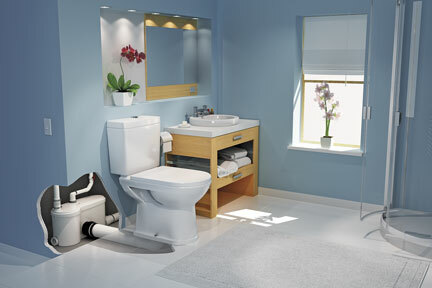 The SANIBEST PRO grinder hidden behind the wall with an extension pipe, serving an elongated Saniflo toilet bowl. 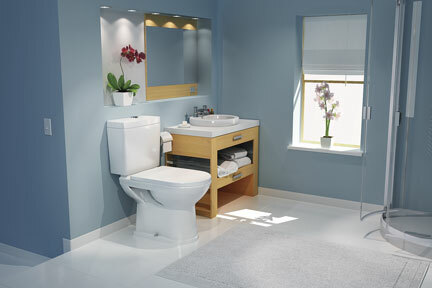 The SANIBEST PRO grinder shown in front of the wall, serving an elongated Saniflo toilet bowl. 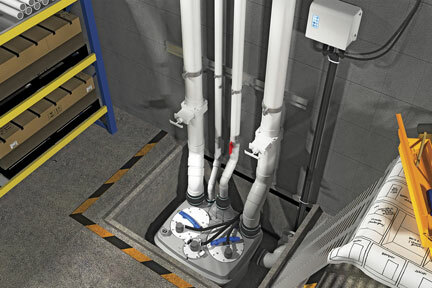 Featuring a 1-hp motor, the SANICUBIC1 can pump up to 50 gpm from plumbing fixtures located throughout a residential or commercial building. 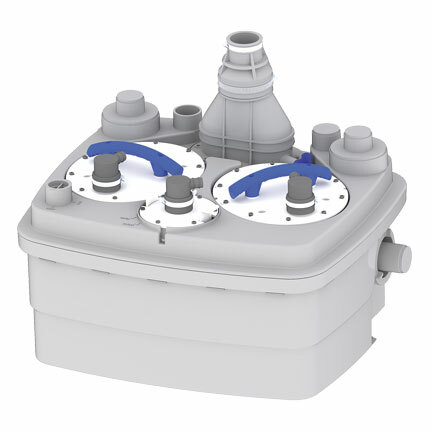 The components of the SANICUBIC1 — pump, cutting blade, switches and circuit board — are contained within this compact, but durable plastic enclosure that can be positioned at or below floor level, depending on the application. 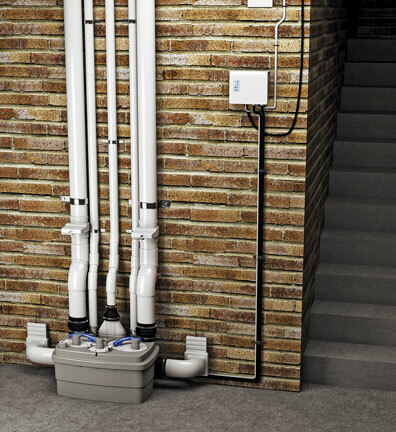 The SANICUBIC2 lifting station can handle 25 gallons of wastewater per minute - powerful enough to accommodate an entire residential or small commercial structure. 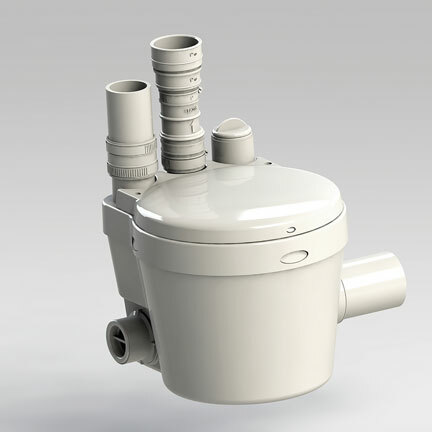 Closeup view of the SANICUBIC2 unit. Closeup view of the motor of the SANICUBIC2 unit. 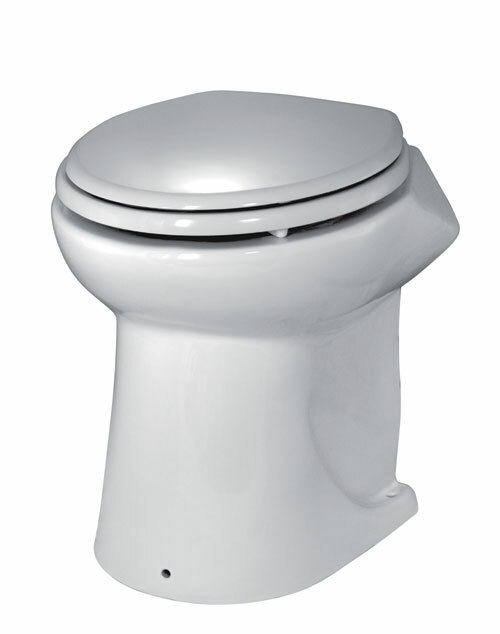 Closeup view of the SANIGRIND. 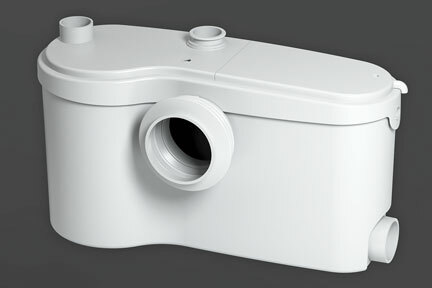 Transparent view of the SANIGRIND. 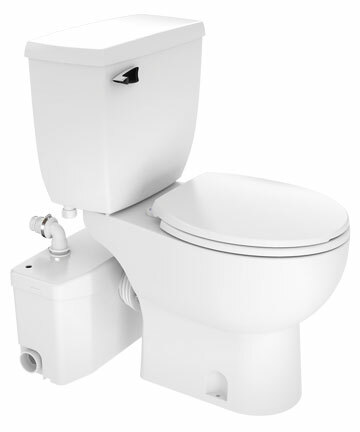 The SANIGRIND, here hidden behind the wall, works with a standard bottom-outlet water closet, instead of the special, rear-spigot toilet required by other Saniflo models. 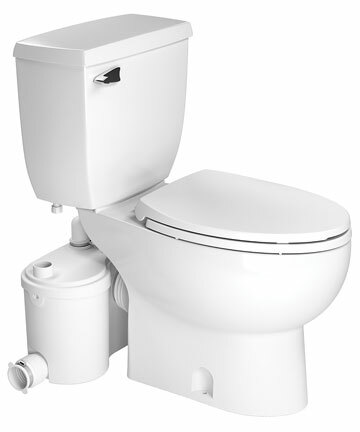 As a result, the SANIGRIND can accommodate any conventional toilet available today. 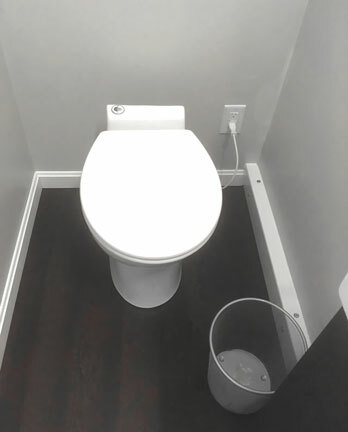 The SANIGRIND (here shown behind the wall) works with a standard bottom-outlet water closet, instead of the special, rear-spigot toilet required by other Saniflo models. 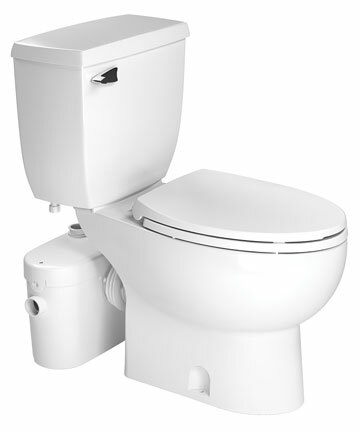 As a result, the SANIGRIND can accommodate any conventional toilet available today. 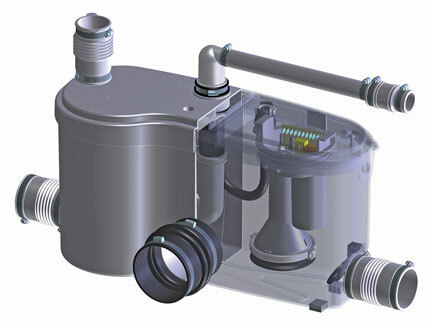 Closeup view of the SANIPACK unit. 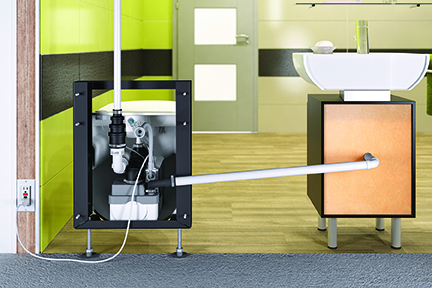 The SANIPACK (here hidden behind the wall) permits a water closet to be hung from a wall and for the macerating pump to be concealed behind that wall. 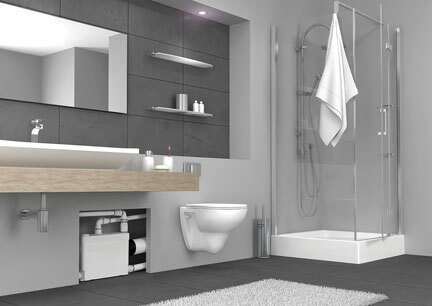 The Sanipack can handle not only the toilet, but also a washbasin, urinal and shower. 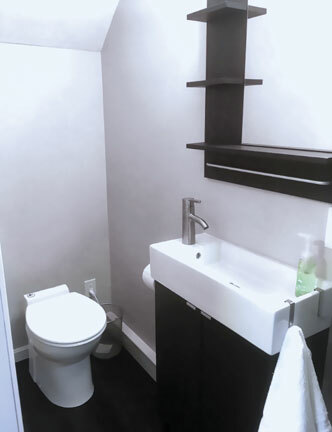 The SANIPACK (here shown behind the wall) permits a water closet to be hung from a wall and for the macerating pump to be concealed behind that wall. 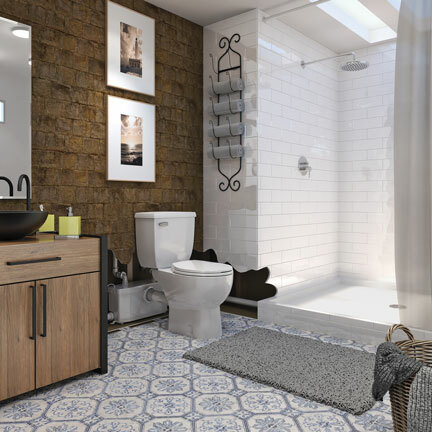 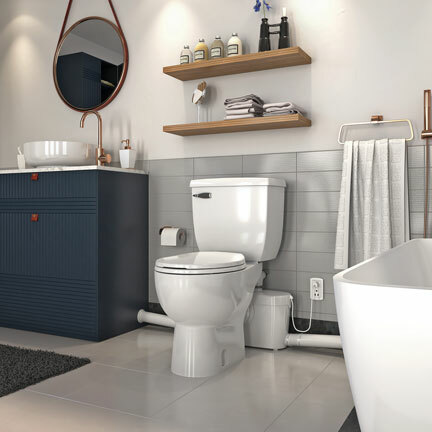 The Sanipack, shown here with the wall panel removed, can handle not only the toilet, but also a washbasin, urinal and shower. 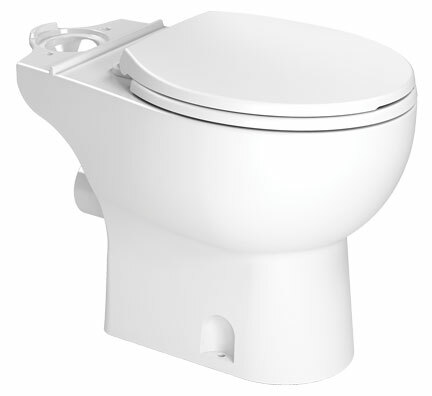 SANIPLUS with ADA-compliant, elongated bowl. 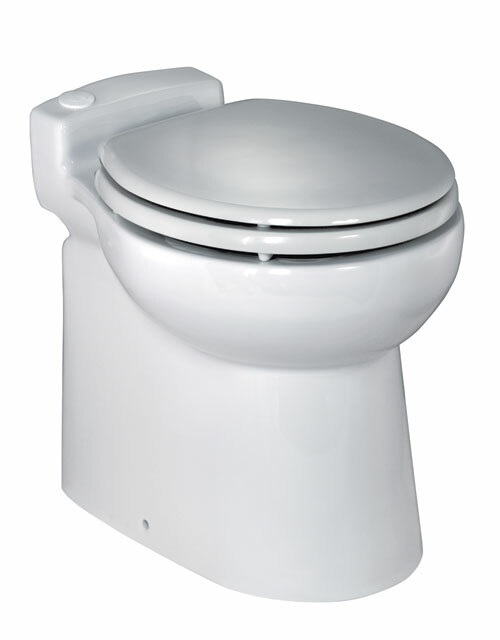 SANIPLUS with ADA-compliant, rounded bowl. 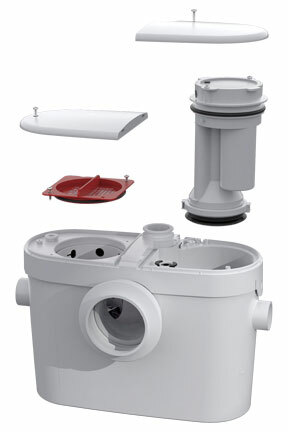 Closeup view of the SANIPLUS macerating unit. 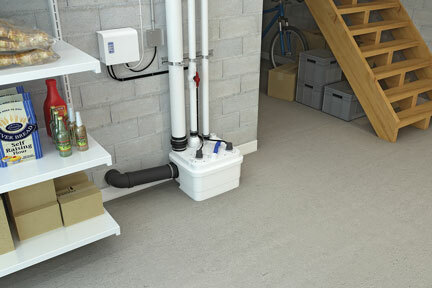 The SANIPLUS macerator shown behind the wall with an extension pipe, serving an elongated Saniflo toilet bowl. 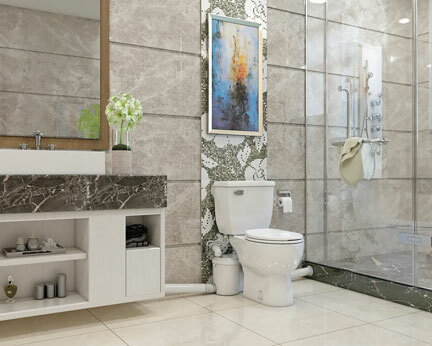 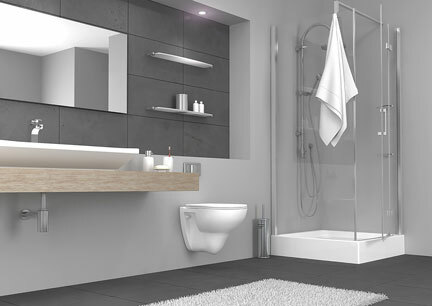 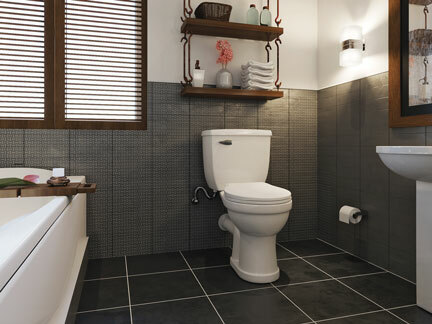 The SANIPLUS macerator shown in from of the wall, serving an elongated Saniflo toilet bowl. 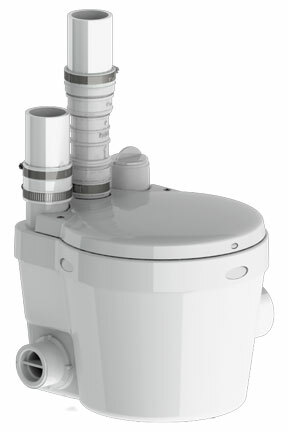 Closeup view of the SANISHOWER unit. 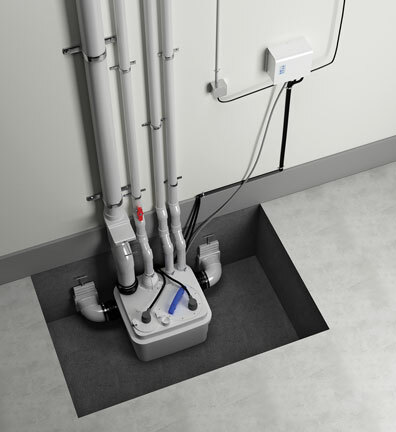 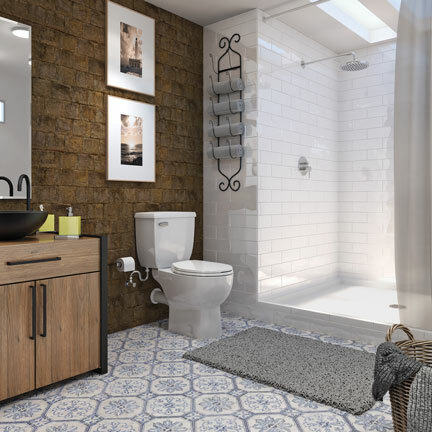 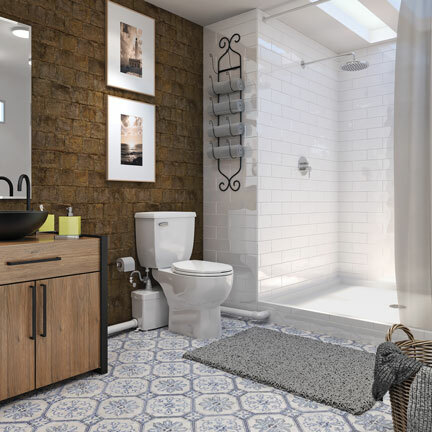 The SANISHOWER is a compact and fully automatic gray water pump system designed to discharge wastewater from a shower, bathtub, bar or bathroom sink, making it ideal for tight areas where installation space is severely limited. 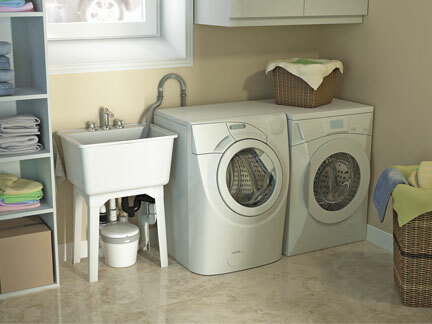 The SANISTAR standard dual flush version saves water by using 1.28 or 1 gallons per flush. 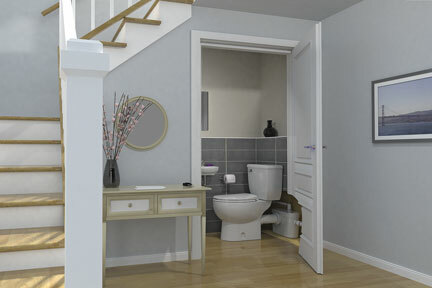 The SANISTAR standard dual flush version, shown here behind the wall, saves water by using 1.28 or 1 gallons per flush. 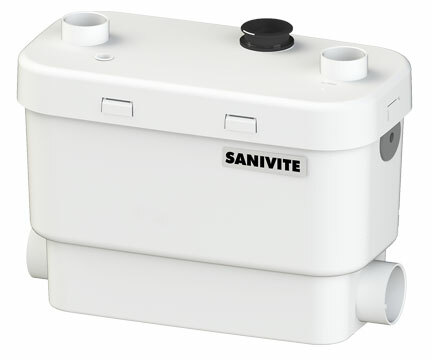 Measuring only 9 inches wide x 8¾ inches high, the SANISWIFT can still pump 18 gpm of waste water from three different fixtures in a bath, kitchen or laundry room. 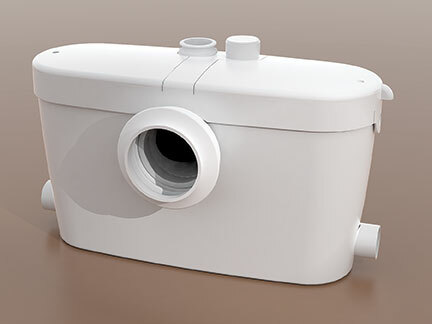 Measuring only 9 inches wide x 8¾ inches high, the SANISWIFT can still pump 18 gpm of waste water from three different fixtures in a bath, kitchen or laundry room (Transparent view). 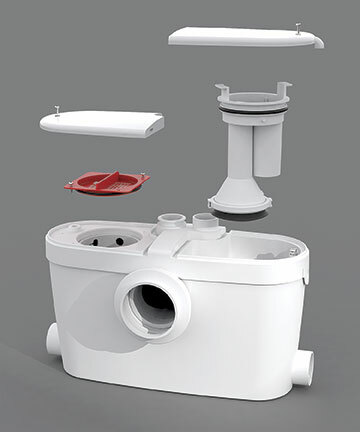 Similar to a garbage disposal, the maintenance-free macerator unit uses a powerful, fast-rotating cutting blade (shown in these photos) to liquefy human waste and toilet paper in the flush water. 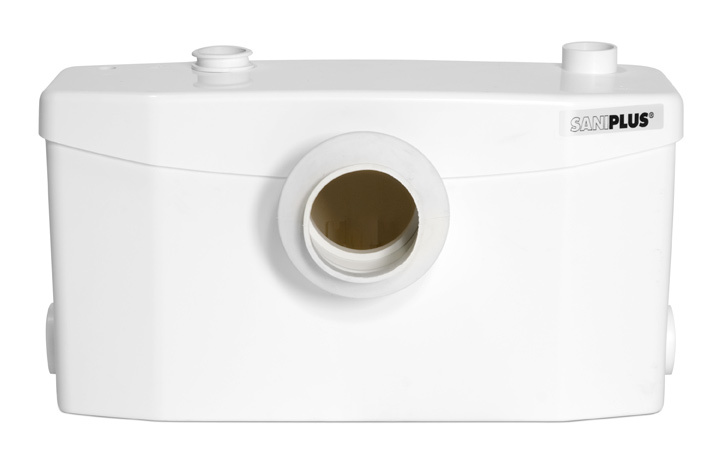 Within seconds, this fine slurry is discharged under pressure through a ¾-inch copper, PVC or CPVC discharge line to a soil stack, a septic tank or a holding tank. 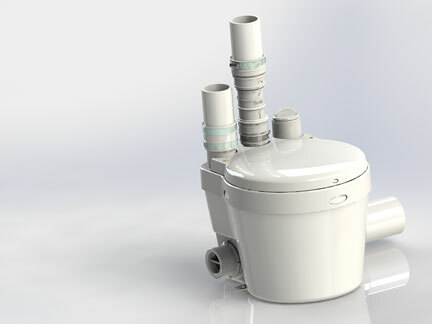 Similar to a garbage disposal, the maintenance-free macerator unit uses a powerful, fast-rotating cutting blade to liquefy human waste and toilet paper in the flush water. 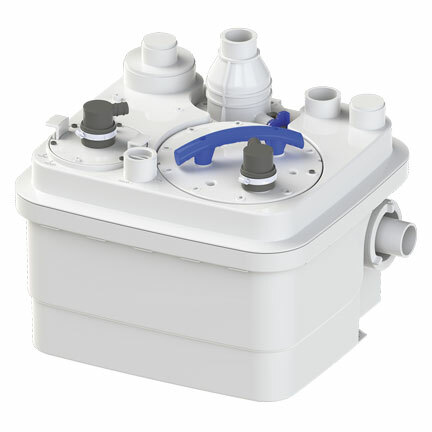 Within seconds, this fine slurry is discharged under pressure through a ¾-inch copper, PVC or CPVC discharge line to a soil stack, a septic tank or a holding tank. 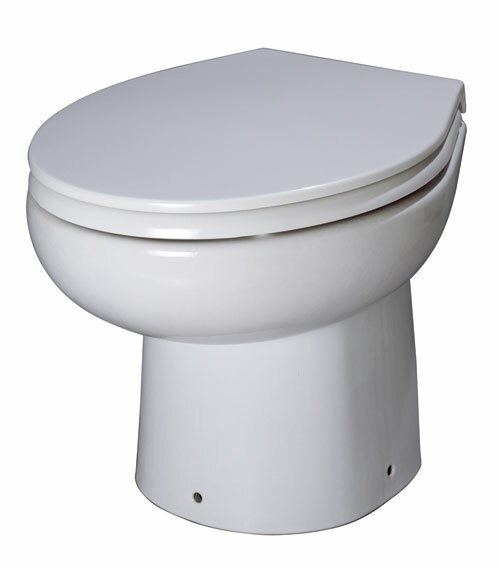 The WaterSense-labeled round Saniflo toilet bowl is made of vitreous china and is ADA-compliant. 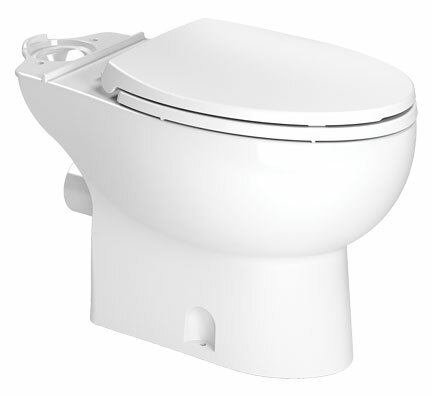 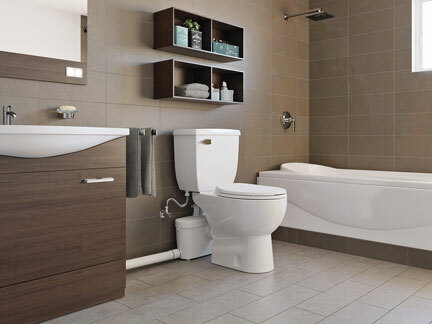 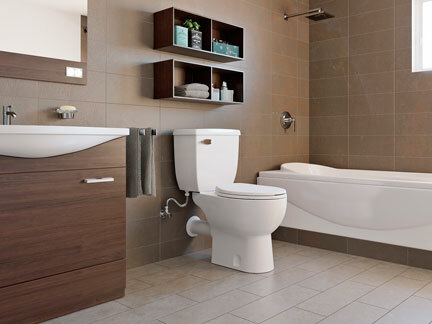 The WaterSense-labeled elongated Saniflo toilet bowl is made of vitreous china and is ADA-compliant.